Magomed Abdusalamov, formerly a professional boxer from the Republic of Dagestan, was undefeated entering his last fight on November 2, 2013. The match was held in the Theater at Madison Square Garden, located in midtown Manhattan, before thousands of spectators. The fight was also televised on HBO. Abdusalamov faced off against Mike Perez, who was also undefeated at the time of the bout. In the first round, Perez caught Abdusalamov on the cheek with his forearm, which shook up the fighter and severely impacted his ability to breath. The fight continued, however, for nine more brutal rounds. Perez was then declared the winner by unanimous decision and Abdusalamov was left bloodied and bruised. After the fight, Abdusalamov told the ringside doctors that he had an intense headache and felt dizzy. The medical team dressed his wounds and recommended that he consult his doctor when he returned to his home in Florida. They told him to get X-rays on a potential facial fracture. Abdusalamov was then examined by staff from the New York State Athletic Commission (NYSAC). After finding blood in his urine sample, the NYSAC representatives suggested that he go straight to a hospital from Madison Square Garden. According to a medical malpractice lawsuit filed against the NYSAC by lawyers representing Abdusalamov, the staff allegedly told the boxer to catch a taxi even though there was an ambulance onsite. While standing on the street corner unable to hail a taxi, Abdusalamov fell to his knees and became violently ill. His team finally found a cab, but soon after arriving at Luke’s-Roosevelt Hospital, Abdusalamov lost consciousness. He was rushed into surgery to address the blood clot that had formed in his brain causing a stroke, but by that time the boxer was left paralyzed down his right side. To this day he cannot walk and he is confined to his bed and wheelchair. After nearly four years of litigation, Abdusalamov and his family have settled with the state of New York for $22 million. The terms of the settlement, which is thought to be the largest personal injury award ever issued by the state of New York, was agreed to by Judge Jeanette Rodriguez-Morick. $10 million of the settlement will be paid directly to Abdusalamov, $10 million will be placed into an account to cover his past financial obligations and legal fees, and the remaining $2 million will be paid to his wife. The agreement stipulates that the Abdusalamov family will dismiss their claims against the NYSAC and its staff. But that stipulation does not include the separate lawsuit filed against Anthony Curreri, Osric King, and Gerard Varlotta, the ringside doctors, who treated Abdusalamov during and after the fight. 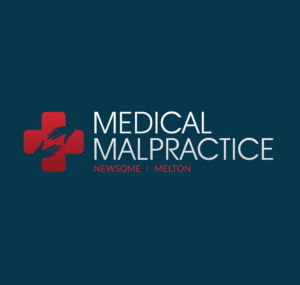 The medical malpractice lawsuit against them is now pending in New York State’s Supreme Court.